The Finance Minister stated that the NIA plans to implement stronger tax collection practices designed to reduce arrears thus raising its collection rates. It also plans to streamline the level of concessions granted. 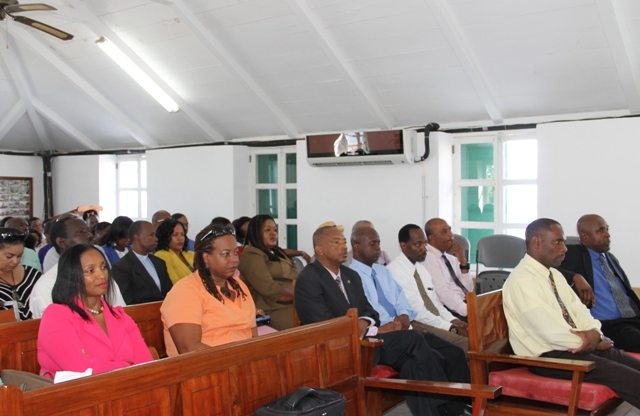 He used the opportunity to urge individuals and business entities to be responsible tax payers and to make every effort to honour their tax obligations. In his projection of revenue collection, Mr. Amory stated that $139.45 million would be collected in current revenue. However, when compared to the current expenditure, it provides a shortfall of $9.49 million. He explained that the shortfall will be covered by a Current Budgetary Grant of $11.12 million. The total Current Revenue and Grant is budgeted as $150.57 million, and when compared to current spending of $148.94 million, will provide a surplus on the current account of $1.63 million. Mr. Amory said the surplus would provide a cushion in case of unforeseen expenditure during the course of 2016. The Finance Minister stated that the NIA’s policies over the next fiscal year would focus primarily on consolidation and growth. “Like in previous years, our strategies will be geared towards ensuring sustainable economic and financial stability, lower current account deficit, curbing the growth of the public debt and creating an environment conducive to economic growth,” he said. Mr. Amory noted that the NIA would continue its efforts to implement tighter expenditure control designed to eliminate wastage in public spending. The Administration would also clear prioritization of capital expenditure and public sector investment projects and wherever possible, it would consider models of concessionary financing and public-private partnerships once they are feasible. It would also continue to take steps to stabilise the public debt through the completion of the debt restructuring exercise with local creditors; take steps to reduce its Debt to Gross Domestic Product (GDP) ratio to a sustainable level and stimulate economic growth driven by the growth of small business and also foreign direct investments. The Administration plans to create employment growth and improve the standard of living, buoyed by a strong recovery of economic activity. It will limit concessions granted to existing business entities. Concessions will only be granted on start-up furniture, equipment and fitting. The current practice of granting concessions on replacement items will be removed. Duty-free concessions granted on vehicles for business entities will also be limited. Concessions would only be granted where the vehicle is an integral part of the daily operations and where the business entity is the sole income earner for the operator. The administration would also undertake a complete revision of the concessional arrangements to the hotel and restaurant sector due to the present upswing in the tourism industry. It would also undertake a complete revision of the concessional arrangements on development projects that have been ongoing for more than five years, especially as it relates to any exemption from payment of the value added tax and strengthen long-term fiscal sustainability through the implementation of structural reforms, in particular public sector reforms. 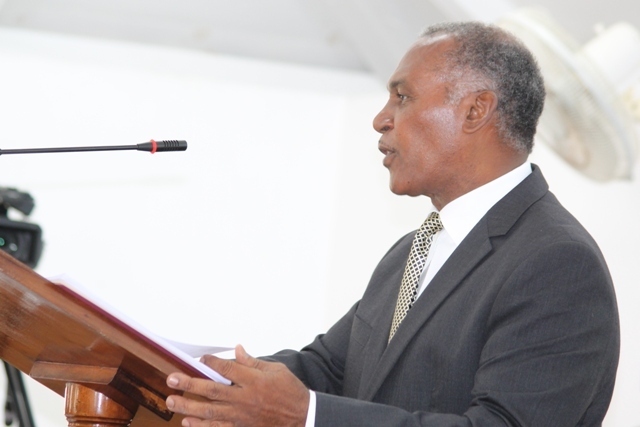 Following Mr. Amory’s presentation of the budget address, the House sitting was adjourned until December 09, 2015.